You are here: Home / Decorating / Color / Color Inspiration: Steal This Palette! Color Inspiration: Steal This Palette! Where can you find a pleasing color palette for your home décor? Just look around you! From works of art to stylish scarves, gorgeous color combinations are everywhere. We looked for colorful pieces by artists and designers, and let them do the color picking for us! Inspiration objects can show you how to marry colors in ways you might not have considered. 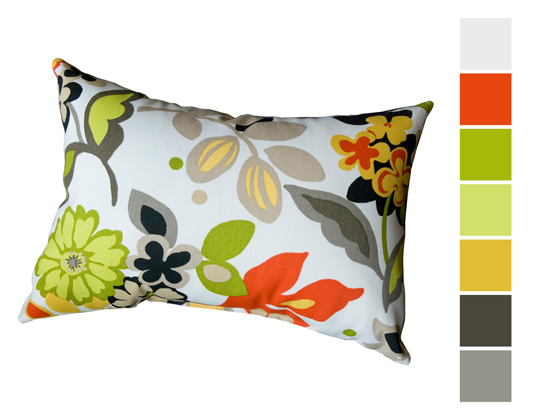 Sure, tangy lime, orange, and marigold go well with white (what doesn’t?). But who would have thought that adding ecru, black, and charcoal would make such a cool combo? Now, pull the colors from your inspiration piece to make a modern mix. When it comes to color in the dining room, go beyond tablecloths and placemats. Vivid accessories like charger plates, napkin rings, and finger bowls spice up the table with color. Feel free to mix the colors from your palette in unusual ways. 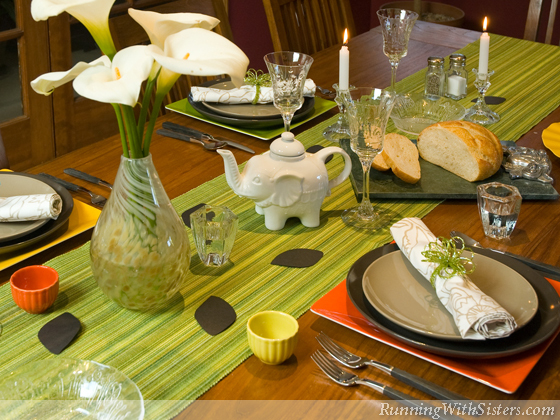 A paprika charger plate next to a celadon runner is more exciting than going all one color. Can you please tell me where I can find this fabric under Color Inspiration Steal This Palette, August 12, 2013 as seen on the HGTV web site and yours https://runningwithsisters.com/a-week-of-color-inspiration-steal-this-palette/. Hi Sandy, the pillow we featured in this piece was from Crate and Barrel. It was called Meridian Maribel Throw Pillow, and it was part of an outdoor furniture ensemble. It was a while back so we are pretty sure they won’t have them in stock anymore. We’ve seen the fabric for sale online before — at onlinefabricstore.net, but we are not sure if they still have it. It’d be worth a look! Wish we could be more help — we love that fabric, too. Good luck and have fun decorating!